This kitchen got the look of a coffered ceiling for a fraction of the time and price. 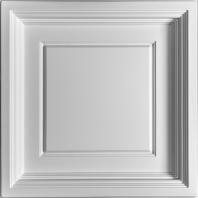 I have enclosed a picture of my coffered ceiling project. This is in a small kitchen in the guest quarters of our lake home. I am very happy with the result in achieving the ceiling look that I was hoping for.